We live in the age of reality television programs, some of which can be instructive and helpful. 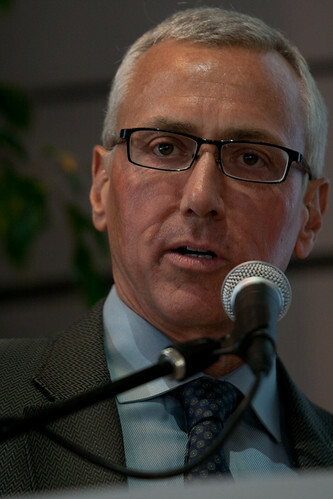 Dr. Drew Pinsky, an addiction specialist who has hosted “Celebrity Rehab with Dr. Drew”, now plans to begin a new series simply entitled “Rehab with Dr. Drew,” which will involve addiction rehab with non-celebrities. Whether or not this program will fall into the category of “instructive and helpful,” is being debated by the experts. The eight one-hour sessions of this program will debut this summer, airing from the Pasadena Recovery Center in California. During these episodes, Dr. Pinsky will endeavor to guide a group of ordinary people in their 20s and 30s to freedom from substance abuse. The noted specialist relays to Reuters that he is eager to educate viewers about the serious dangers of substance abuse. He states that over 85 million Americans are affected by addictions, either directly through their own usage or indirectly through supporting family members or friends. Will these televised addiction recovery treatment programs be helpful or hurtful? Various experts and celebrities have weighed in on the subject. Dr. David Sack, of the Malibu rehab facility Promises, contends that these programs place the drama of television over the medical needs of patients and opines that they endanger severely addicted clients having impaired judgments: Fox News notes. Conversely, Adi Jaffe PhD, the author of Allaboutaddiction.com, believes that in most cases any treatment is preferable to no treatment at all. He elaborates that while being in front of a camera may reduce the focus needed for drug addiction rehab, the process of being filmed is not necessarily harmful. What do you think? Do you feel reality television shows such as Dr. Pinsky’s encourage those struggling with addictions to seek help, or do you have reservations about them?